SKU: KC-DD-004-3 (O). 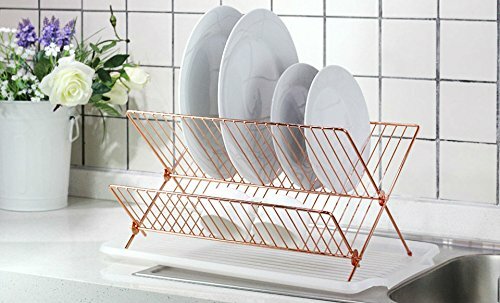 Category: Dish Drainer. 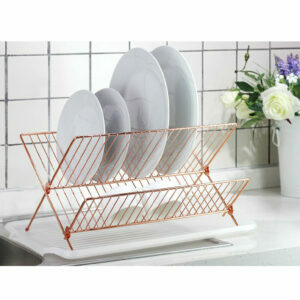 Revolutionary trendy gold copper color dish drainer adds contemporary feeling to your kitchen. 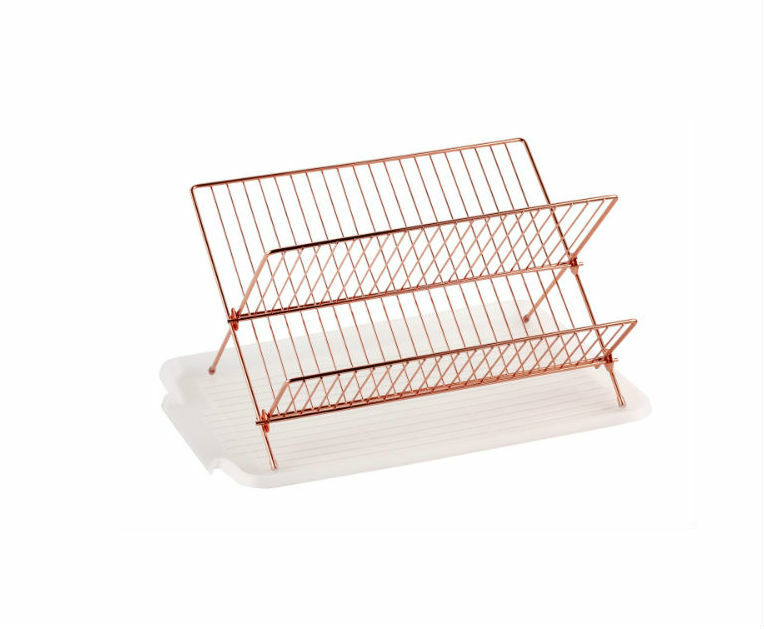 Foldable design offers additional storage flexibility. 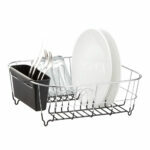 Durable chrome-plated steel construction increase the life of the dish drainer. 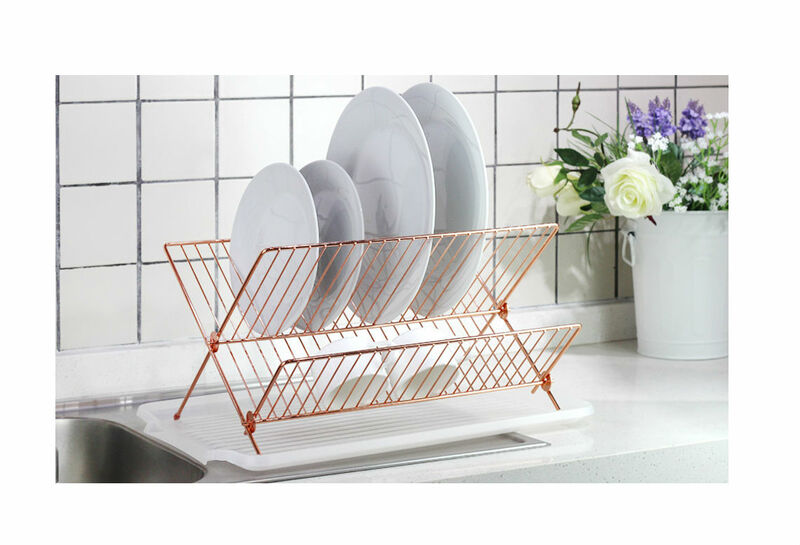 Easy match white color drainboard is included. 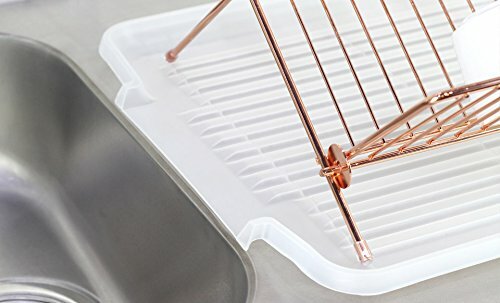 Drainboard with drainage spot to easily drain out water. 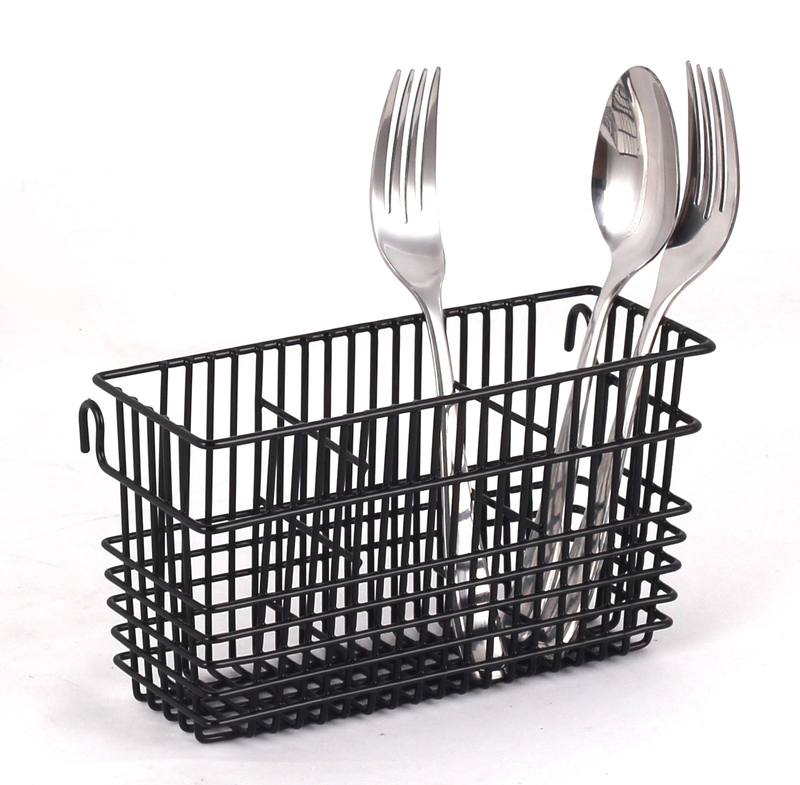 Set measures 17.25″(L) x 12.50″(W) x 9.50″(H) approximately; dish rack measures 14″(L) x 9.75 (top W)” x 9″(H) approximately.